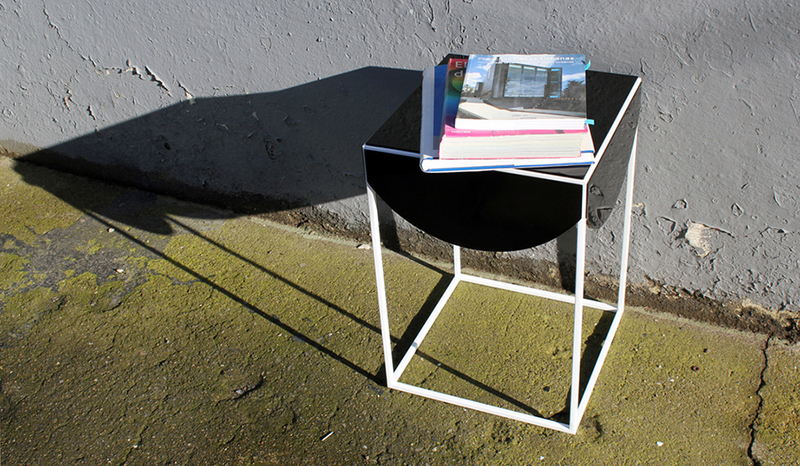 This side table is based on an overhanging cloth on a table top. It takes this organic form and puts a very geometric styling on it. Each panel is made from a black solid surface material called Hanex. This is a man made material designed to substitute stone. It is polished up to an ultra gloss finish. The rich depth of the panels on top is contrasted sharply by the simple white frame. This is a 10mm square section steel frame and is coated in a hard wearing white paint. Dimensions: 450mm high, 300mm wide x 300mm deep. Like the side table? Wrong size? Wrong material? Just drop us a mail and we can sort it for you.